Diatomaceous earth’s abrasive and absorbent qualities facilitate containment, cleanup, and removal of liquids—of both large and small quantities. It can be used to clean up massive oil spills or soak up skin oils for cosmetics. 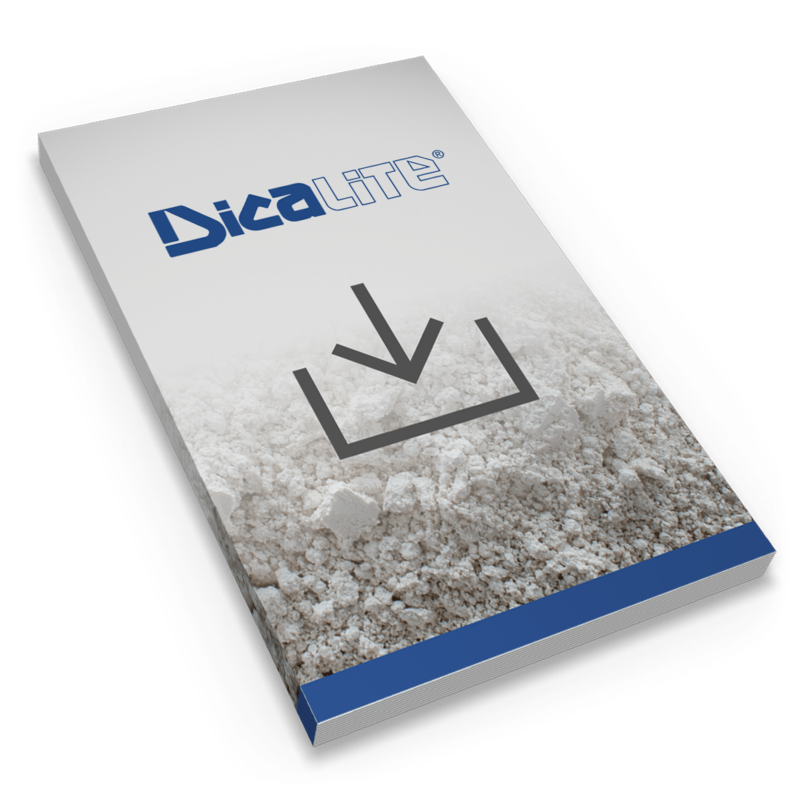 Dicalite’s 100% Diatomaceous Earth (DE) is one of the most effective absorbents on the market today. It quickly takes up spilled or dropped liquids and greases, making containment and removal easy and reducing slippage hazards. Diatomaceous Earth is an all-mineral material, is the naturally occurring fossilized remains of diatoms – single-celled aquatic algae. It is a near-pure sedimentary deposit consisting almost entirely of silica. Calcination at high temperature produces a strong granular material that resists crushing and dusting without high absorbency being impaired. Diatomaceous earth has the highest absorbency of all materials in general use – approximately 145% of its weight of oil. It absorbs liquids and semi-liquids, including oils, grease, water, battery and other acids, anti-freeze solutions, syrups, and many more. Liquids once absorbed will not be released, and diatomaceous earth sweeps up readily without sticking to floors or equipment. It meets U.S. Government specifications for oil absorbents. Diatomaceous earth’s high absorbency, combined with the greater coverage per pound, makes DE the most efficient absorbent of this type available. In machine shops around screw machines, mills, drill presses, punch presses or die casting machines, etc., wherever there is an oil spill on floors. In garages, services stations, grease racks or grease pits, on driveways or floors where oil, grease, or gasoline could cause accidents. Around diesel motors, fuel tanks, pumps or mixers, where oil, grease, or fuel may drip or leak on the floor or other surfaces. In restaurants, on kitchen floors or to pick up food spills and provide non-slip floors. In packaging plants, elevator pits, cold storage areas where melting ice cause slippery floors or ramps, textile mills, food plants, breweries, printing shops, pet shops, pet beds, etc. When used onboard ships around winches, fueling connections, engine room ladders, and floors. Diatomaceous earth will provide clean, non-skid decks and ladders. The engine room ladders and decks are usually made of steel and present a definite hazard to personnel. Diatomaceous earth offers non-injurious and non-flammable qualities, making it an ideal resource in a variety of settings. Diatomaceous earth will not injure persons handling it, can not damage floors or equipment. It contains no chemicals, caustics or solvents. Because diatomaceous earth is a non-flammable, non-combustible absorbent material, it will reduce fire hazards because it will not burn and is an ideal method and material for containment and cleaning up.